Big and cozy room with double bed for rent! Hi! 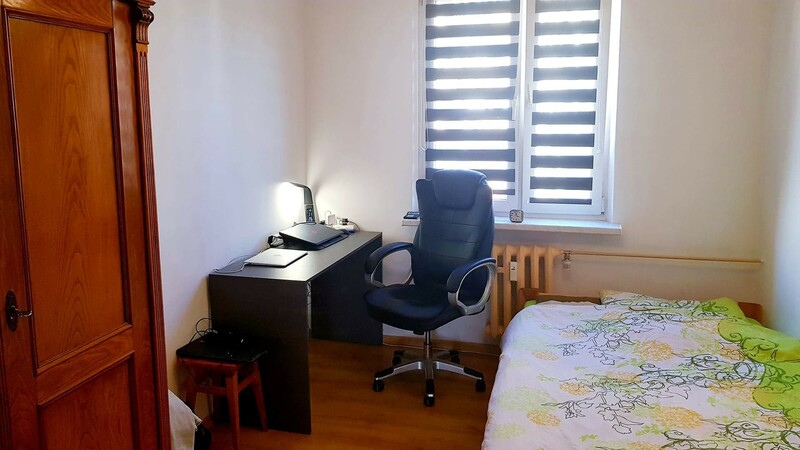 I've got single room for rent in Bronowice Nowe (15 min to Main Square). Good communication with city, close to AGH, UP, UR, WSZIB Universities. Nearest bus/tram stop: "Bronowice Wiadukt". The apartment has central heating, fully equipped with fridge, washing machine etc. Room furnished with bed, desk, wardrobe and chair. Spacious kitchen and bathroom. For more details please write me!